At Chandler Towing LLC, we are committed to providing you with the highest level of customer service possible, so that you keep coming back to us for your towing and roadside assistance needs. 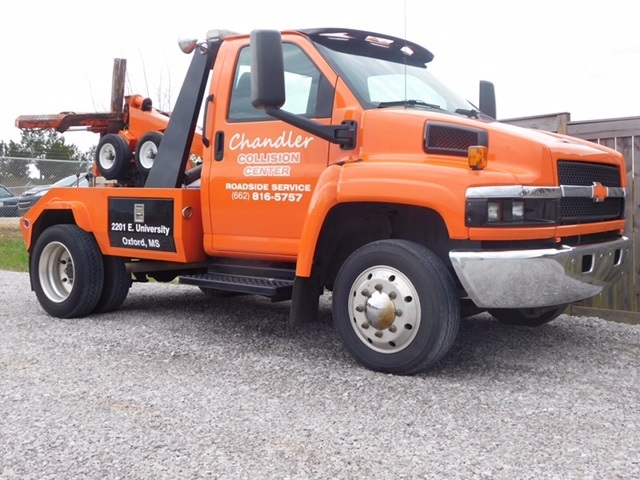 We, at Chandler Towing LLC, promise fast response times and on-time deliveries. Our technicians are highly skilled and have over 10 years of experience towing cars, trucks, and SUV's. Whether you’re needing a quick tow, tire change, or winch out, rest easy knowing that your vehicle is in good hands. With our quick and friendly service, at an unbeatable value, you’re sure to love us. Give us a call today and see why you wouldn’t want to trust your car with anyone else. We aim to continuously exceed the expectations of our client and to deliver quality towing & roadside services to the Oxford, MS Area. Our drivers are fully trained and educated in providing a safe and friendly working environment. All employees have passed an extensive background check.